In late January, federal employees across the country returned to work for the first time in over a month. In an effort to provide retroactive pay as quickly as possible, The U.S. Office of Personnel Management (OPM) has issued guidance to federal agencies impacted by the shutdown to explain how their employees should receive back pay and other benefits. Employees who were furloughed will receive back pay at their standard rate of pay for the time that they would have been in a regular pay status if the shutdown had never occurred. This includes overtime pay, night pay or other premium pay (e.g. LEAP, holiday pay, etc.) that the employee would have received. However, if an employee was scheduled to be in a non-pay status during the shutdown, including Leave Without Pay (LWOP) or serving a suspension, then the employee is not eligible for backpay during that period, including holidays. For excepted employees who were required to work without pay during the shutdown, they will receive their regular pay for the hours they actually worked, including any overtime or other premium pay. Conversely, if the employee did not show up for work and did not request leave, they will be marked absent without leave (AWOL) and will not receive back pay. For any employees who received unemployment payments during the shutdown, the state involved will receive notice of the back-pay amount and then make a determination as to what repayment is required. Furloughed employees cannot be charged paid leave or other paid time off during the shutdown, even if they had prescheduled paid leave. On the other hand, excepted employees may be charged leave – and compensated for it through back pay – for periods during the furlough where they used paid leave in lieu of reporting to work. Many employees were planning to take “use or lose” annual leave but were furloughed before they could do so. According to OPM, agencies must restore any annual leave that was scheduled in writing prior to November 24, 2018. Note that restoration of leave will not apply to scheduled leave for December 24, which was declared a federal holiday in 2018, unless the employee can show they would have rescheduled the leave for another day. Restoration also does not apply to leave that had previously been restored. In those instances, the leave is lost for good. Similarly, employees who were unable to use compensatory time off in lieu of overtime pay due to the shutdown will be paid for such time. Compensatory time off for travel that was forfeited can be restored and extended for another 26 pay periods. In regard to accruing leave during the shutdown, all employees receiving back pay are considered in a pay status for that period and will also accrue leave at normal rates. The Family Medical Leave Act (FMLA) provides unpaid leave for up to 12 weeks but employees are permitted to substitute paid leave during this time to continue receiving pay. For employees that were on FMLA during the shutdown, back pay will be dependent on whether the employee was scheduled to substitute paid leave. If the employee had planned to use paid leave during their FMLA leave period, these employees will not only receive back pay but they will also not be charged any leave. However, employees scheduled to be in a non-pay status (i.e. FMLA LWOP), will not receive back pay. For all employees using FMLA leave, the shutdown period will still count toward their 12 weeks of protected leave. Employees are also entitled to retroactive benefits. Deductions will be taken out of the back-pay checks to cover employee contributions to health and retirement plans. Loan payments to Thrift Savings Plans (TSP) will also be made. For those employees who requested to retire during the shutdown, the retirement will be made effective retroactively to the date requested and no back pay will be received after that date. It isn’t yet clear when agencies will begin making these retroactive payments. If you believe the agency has incorrectly calculated your back pay or you have been improperly denied any benefits as a result of the shutdown, you should contact an experienced federal employment attorney to determine what options you have to protect your rights. 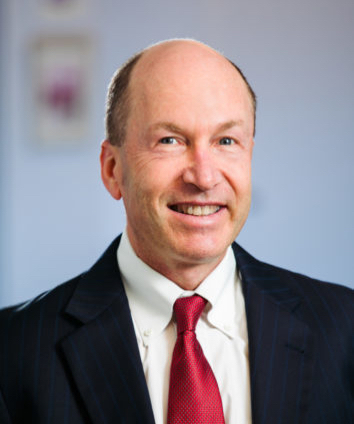 About the Author: Alan Lescht has been successfully litigating employment discrimination, civil rights, and commercial litigation cases for more than 30 years and has won dozens of notable trials. He is the founding partner of Alan Lescht and Associates, PC, where he oversees the firm’s employment litigation and counseling practices. This entry was posted on Thursday, February 14th, 2019 at 12:02 pm. You can follow any responses to this entry through the RSS 2.0 feed. You can leave a response, or trackback from your own site.